Jun. 22, 2017 5:30 p.m.
You can expect more bears roaming around B.C. this summer, as bear populations are at their highest peak in recent years. That’s according to the B.C. Conservation Service, who destroyed 106 black bears, and four grizzly bears around the province in April and May – the highest numbers of bears killed ever recorded by the ministry. The number of reports being made to the conservation service RAPP line also doubled to more than 3,000 calls in the same time period. As more cities get on board with bear-smart techniques, like bear-proof garbage bins, Gravel said the population surge is being mitigated. Destroying – or euthanizing – bears is the last option, and the sooner people report a sighting, the likelier conservation services can instead rely on non-lethal techniques, including relocating the bears or hazing – when officers use techniques to chase bears out of neighbourhoods. 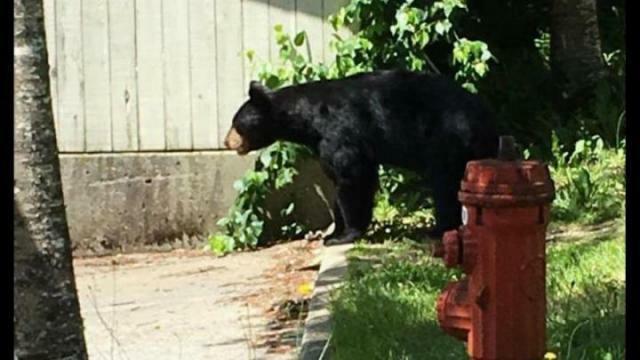 Bears getting comfortable and wondering into peoples’ backyards “all start with rewards,” Gravel said, which include overgrown fruit and nut trees and garbage being left out.